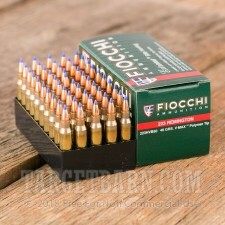 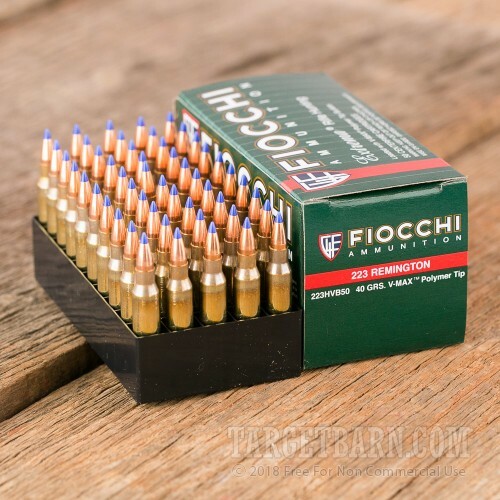 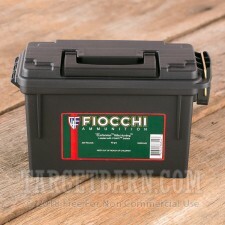 Make varmint problems go away with this 200-round case of .223 Remington ammunition from Fiocchi. 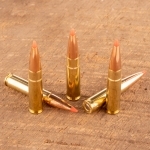 These cartridges fire a light 40 grain Hornady V-MAX polymer tipped hollow point bullet at a muzzle velocity of 3,650 feet per second. 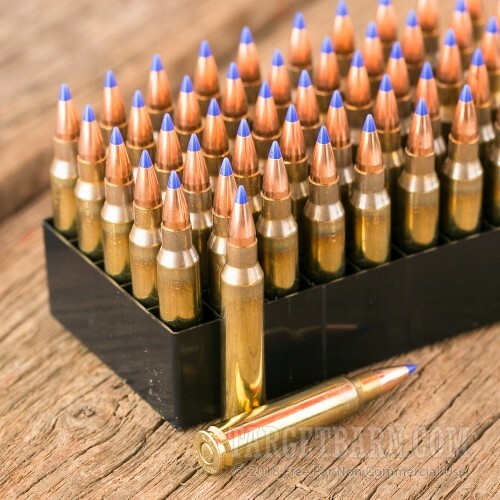 The high velocity of this ammo promotes instant fragmentation for rapid kills against various pests such as coyotes, groundhogs, or squirrels. 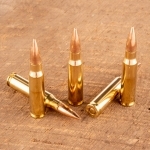 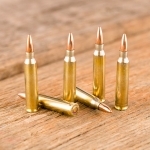 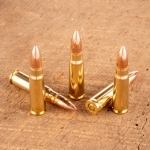 This ammunition is loaded in Ozark, Missouri using non-corrosive Boxer primers and brass cases. 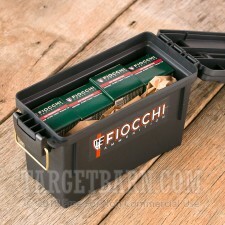 It comes packed in a reusable, stackable plastic ammo can that provides excellent protection.